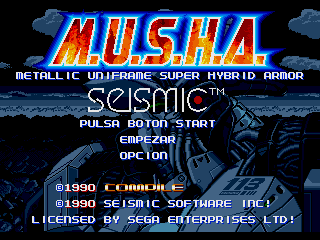 M.U.S.H.A. 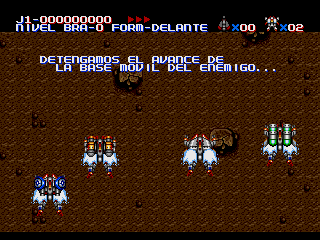 : Metallic Uniframe Super Hybrid Armor is an action shooter game for the Sega Genesis. 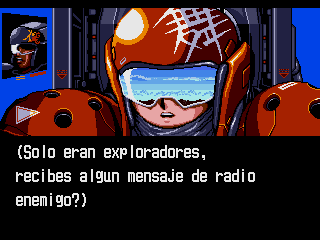 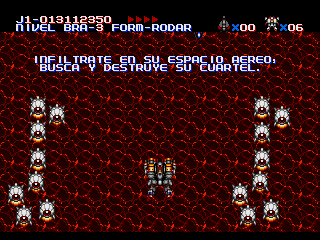 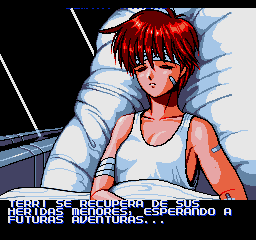 Full translation to spanish for “M.U.S.H.A”, for the Sega Mega Drive / Genesis.